Situated between the Mediterranean and Dead Sea is Israel’s historic and cosmopolitan capital of Jerusalem. This destination, one of the oldest in the world, is home to more than 857,000 residents. Jerusalem offers you ancient history and a variety of religious sites. Leading attractions include the Western Wall, the Garden of Gethsemane and the Dome of the Rock. 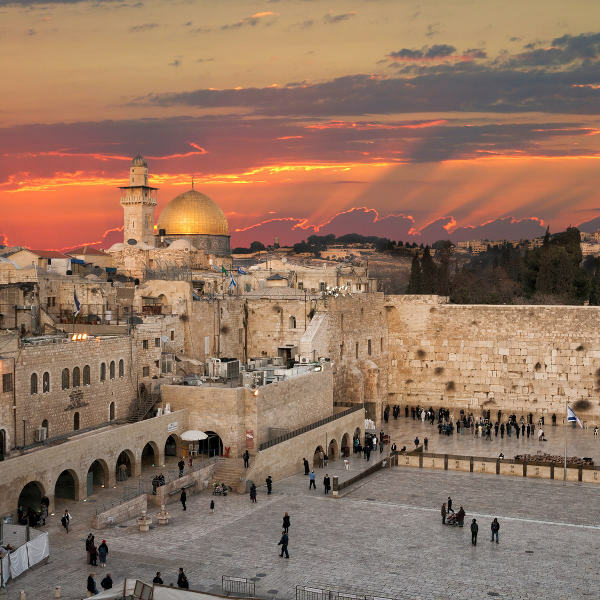 Prepare to experience the heart of Israel’s culture, because cheap flights to Jerusalem are now available for a limited time! Jerusalem is served by Ben Gurion Airport (TLV), which is a 1-hour drive from the city centre. Ben Gurion Airport serves several airlines, including El Al and Ethiopian Airlines. Direct flights to Jerusalem are available from Johannesburg and Cape Town. The flight duration from Johannesburg to Jerusalem is approximately 9 hours and 10 minutes. All three of the world’s major religions consider Jerusalem to be sacred. You’ll find that the city is filled with enticing holy sites, such as Dome of the Rock, the Western Wall and the Church of the Holy Sepulchre. As one of the oldest cities in the world, Jerusalem offers you the opportunity to step back in time. Explore a range of magnificent sites, which include Lion’s Gate, the City of David and Temple Mount. 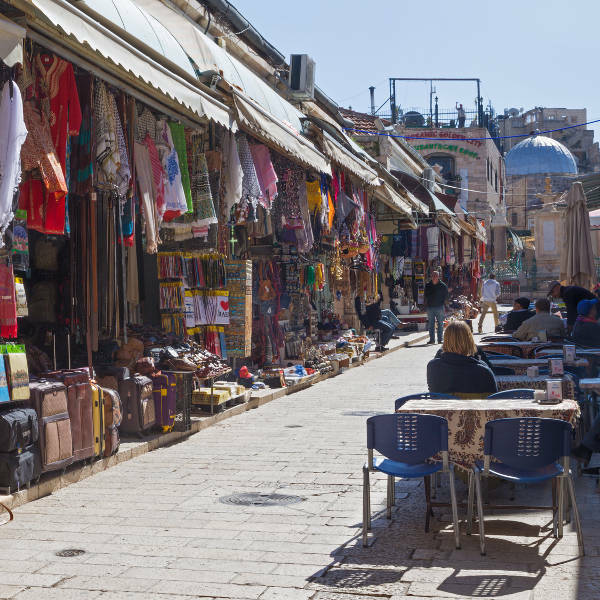 Jerusalem is home to a huge range of wonderful shopping venues that cater to every visitor. Places to visit include the energetic Mahane Yehuda Market, the charming Hadar Mall, and the beautiful Mamilla Mall. For the most comfortable and stress-free time to visit Jerusalem, plan your stay for the periods from April – May (spring) and October – November (autumn). Temperatures are moderate during this time and hotel rates are low. Check when the local holidays and major celebrations are, as it usually results in an upsurge of visitors and hotel prices. December – March (winter) brings the cooler temperatures and heavy rainfall. Hotel prices are at their lowest during this period, so if you choose to visit, make sure to bring plenty of warm layers. The summer (June – September) is the season to avoid since tourist volumes and hotel prices are at their peak during this season. Start making your holiday plans to visit the exotic and historically wealthy city of Jerusalem. This destination is famously known as a place of pilgrimage and worship for Jews, Christians and Muslims since the biblical era. One of this destination’s most popular areas is the Old City, where you can discover a variety of significant religious sites. These include the Western Wall, the Church of the Holy Sepulchre and the Dome of the Rock. Each of these structures is rich in history and together they are just some of Jerusalem’s major landmarks. Explore the streets as you hear the sounds of the shofar (Jewish ram’s horn), church bells and Islamic calls to prayer filling the air. Let your senses take in the sights, sounds and fragrance of incense, candle smoke and coffee drifting from the vibrant souqs. 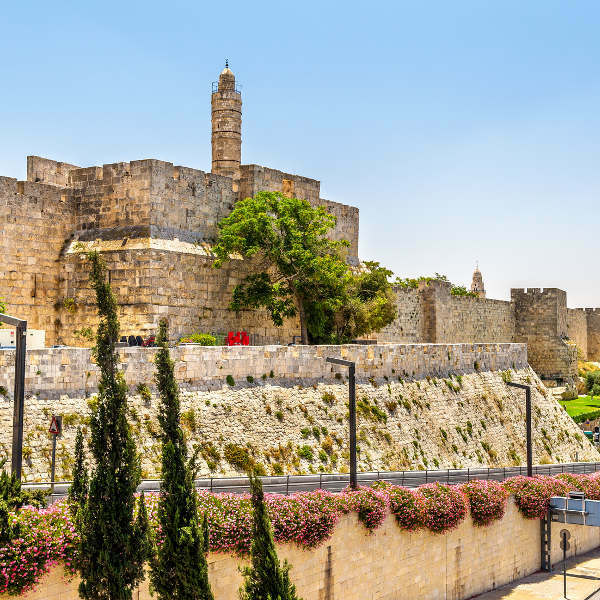 Other attractions in and around Jerusalem include the informative Israel Museum and Yad Vashem memorial, the picturesque Mount of Olives, as well as the historic and beautiful Garden of Gethsemane and Hezekiah’s Tunnel. When you’re in the mood for a vibrant scene, you can find it at Mahane Yehuda Market and the bars and restaurants at downtown Jerusalem. Compare several airlines and book your cheap flights to Jerusalem online at Travelstart! If you are a South African passport holder, you will not need a visa to enter Israel. A tourist visa will be issued to you on arrival. This visa is valid for a three-month stay. Ensure that your passport is valid for six months from your date of departure and that it has two blank pages for entry stamps. The South African Embassy is in Tel Aviv. Jerusalem enjoys a high level of safety. You will need to be cautious on busy streets, however, since pickpocketing is an issue as it is anywhere else in the world. When visiting any holy sites, make sure to dress modestly. Be cautious when visiting Jewish or Muslim concentrated areas, since there have been reports of religion-specific discrimination. Take note of the time when visiting holy sites. Non-Muslims are not allowed on the Temple Mount during the Muslim prayer. Tourists should not publicly use electronic devices or smoke in any synagogue, at the Western Wall, and at any Jewish neighbourhood during Shabbat and Jewish holidays.